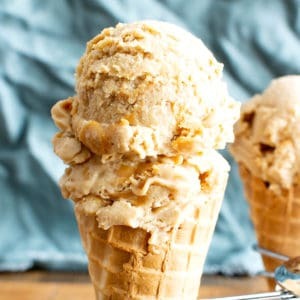 4 Ingredient Banana Peanut Butter Swirl Ice Cream (V, GF): my favorite easy, no-churn recipe for delightfully sweet and creamy vegan ice cream bursting with peanut butter flavor! 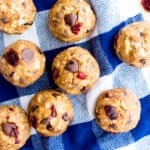 Vegan, Gluten-Free, Dairy-Free and made with healthy ingredients. Ah, the topic of Peanut Butter and Erik. Yep, that’s Peanut Butter, with a capital “P” and a capital “B.” And Erik with a capital “E”–why must he be so difficult? 😉 You might recall from a few years back, in this post, the saga between these two. Essentially, I was under the misapprehension (I may or may not have gotten typing fatigue from all the letters in that word) that Erik actually LOVED peanut butter, when in fact, he did not. Then, when I realized he didn’t, logged that in, and operated accordingly, he changed his mind. Then, he changed his mind again. Smh. But that’s his job! 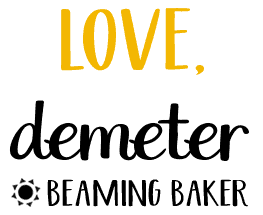 Official Beaming Baker Taste Tester and blah blah blah is in his job description! So imagine my surprise when I begrudgingly, cautiously ask him to sample some of this 4 Ingredient Banana Peanut Butter Swirl Ice Cream. I gave him a cone with a double scoop (made for the photoshoot, you see), turned my back to adjust my camera settings, clean up a peanut butter drizzle mess on one of my photography boards, and then turned back around. And the entire cone, plus the double scoop, were GONE. Mr. I Cannot And Will Not Eat Another Bite of Anything Peanut Butter-y aka Will Act Like a Saint for Even Trying a Teensy Pea-Sized Amount of a Peanut Butter Recipe was just standing there, like nothing unusual had happened. Me: Mouth gaping open, shell shocked. 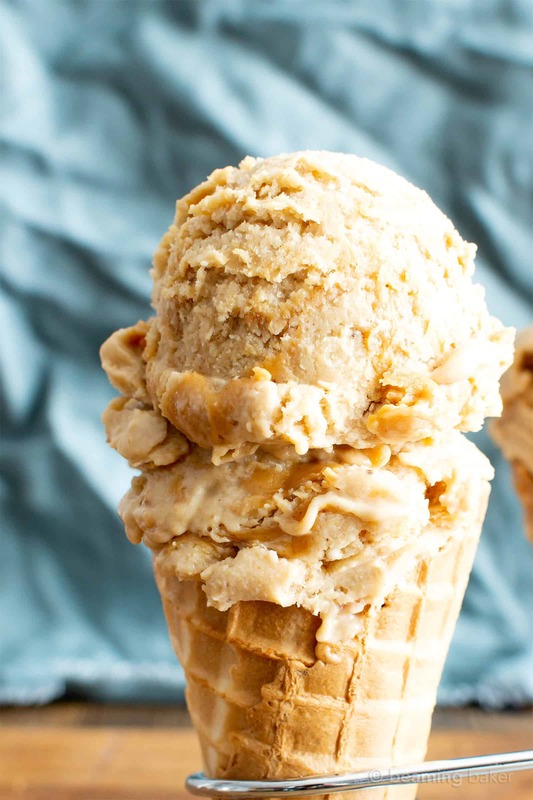 And that’s how you know that this Banana Peanut Butter Swirl Ice Cream is EVERYTHING. And then… guess what? He even proceeded to finish the entire double batch throughout the week. And he only took that long because I had to put my foot down on him eating it all at once. He literally jumped up and down asking if he could have a few scoops after dinner, every friggin night. 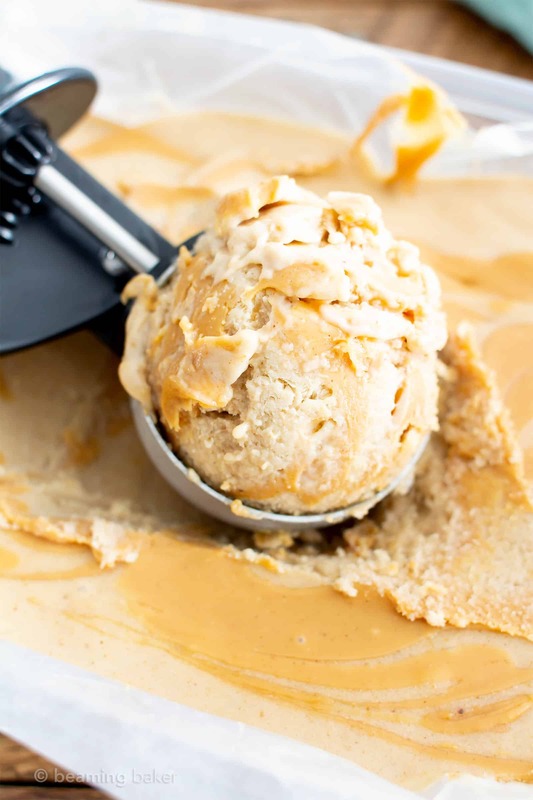 the best peanut butter ice cream recipe to add to your frozen dessert menu! 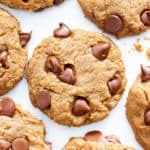 so good on top of fresh-baked vegan peanut butter cookies ???? Are you ready to do this? 🙂 You grab the bananas, I’ll slowly lug/grab my gigantic gallon-sized peanut butter! I’m so grateful that you’re here, sharing in these stories, recipes and moments with me. I seriously can’t wait to hear what you think! In the meantime, make sure to sign up for my free email list so you never miss a recipe. And, if you’ve got some strawberries sitting around and are hankering for some more frozen treats, you’ve got to try my 3 Ingredient Strawberry Coconut Sorbet. It’s seriously so easy to make, and might just be the perfect companion to this peanut butter ice cream for all you PB&J fans out there. ???? 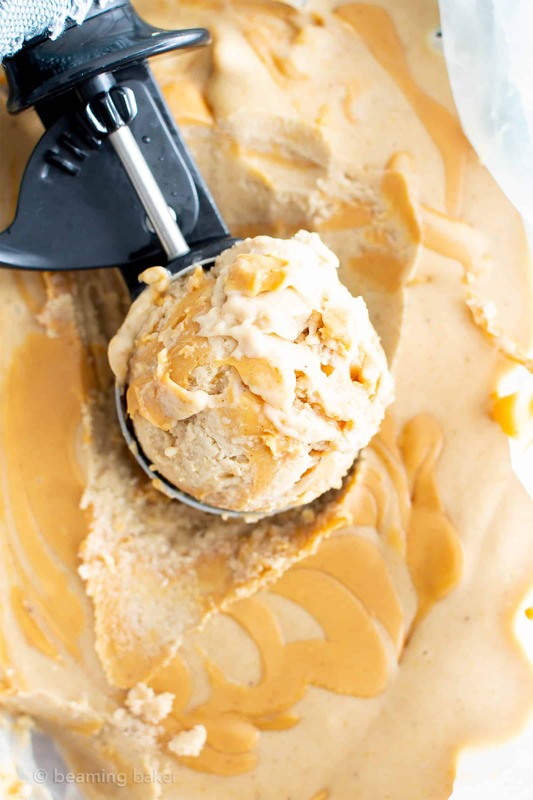 4 Ingredient Banana Peanut Butter Swirl Ice Cream (V, GF): an easy, no churn recipe for delightfully sweet and creamy healthy vegan ice cream bursting with peanut butter flavor! 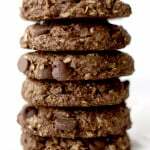 Vegan, Gluten-Free, Dairy-Free, Refined Sugar-Free. Add bananas to a food processor (preferred) or blender. Blend until crumbly. Add coconut cream and blend until somewhat smooth. If coconut cream is firm, try melting in the microwave for about 8 seconds to liquify (this will prevent coconut chips from forming, but isn’t necessary). Add ½ cup peanut butter, maple syrup and vanilla. Blend until smooth, scraping down the sides of the processor as needed. Pour half of the mixture into a freezer-friendly, airtight container. Tap the container a few times to create an even layer. Drizzle about 2 tablespoons of peanut butter over this layer of ice cream in a large zigzag pattern, creating big pockets of peanut butter. Keep it uneven for more chunky swirls! Pour the remaining half of the ice cream mixture over the peanut butter swirl. Drizzle the remaining 2 tablespoons of peanut butter over the ice cream. Dip a butter knife straight down into the ice cream, almost hitting the bottom of the container. 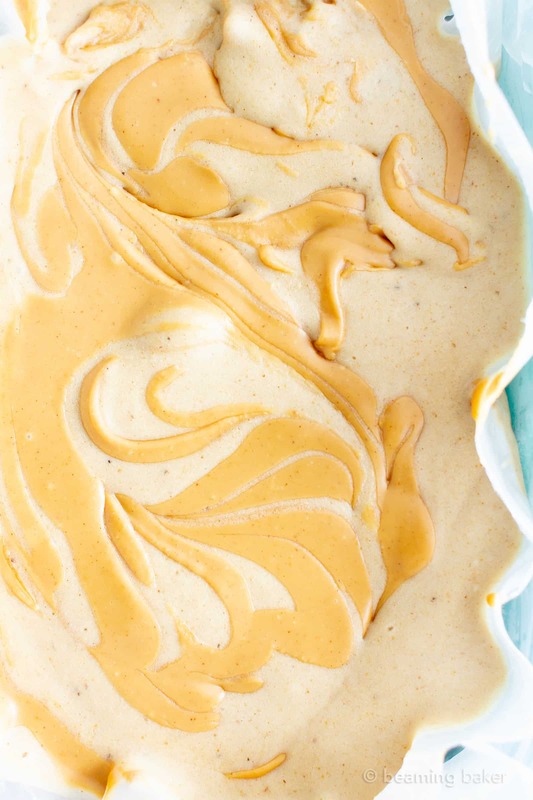 Gently swirl the knife around the ice cream in a clockwise motion--starting near the edge of the container and ending in the center, creating pretty peanut butter swirls. Do not over-stir, as that will fully mix the peanut butter into the ice cream and remove swirls. Freeze for 3-6 hours, or until completely frozen. Allow to thaw for 5-20 minutes before scooping. Enjoy! Adapted from my Coconut Chocolate Chip Vegan Ice Cream. 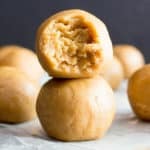 Also try my 3 Ingredient Peanut Butter No Bake Energy Bites and my 2 Ingredient Vegan Peanut Butter Freezer Fudge. 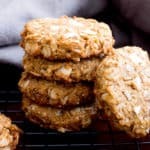 - *You can use canned coconut cream, found here, or you can do the following: Allow a can of full fat coconut milk to settle for 1-3 days in the refrigerator. Open the can and scoop the firm, creamy white part off the top—this is the coconut cream. - Here is the food processor I love and use to make all of my vegan ice cream recipes: Food Processor. 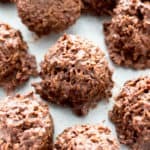 - More Delicious Vegan Ice Cream Recipes: almond joy vegan ice cream, vegan ice cream bars, chocolate chocolate chip coconut vegan ice cream. This looks seriously delicious! I can’t believe four ingredients is all it takes to have a guilty free dessert. I wish I could reach through and grab a cone. I love it when you make something and your other half swears they don’t like it, refuses to try it and then finishes two or three helpings and asks for more. Classic! This looks like a great summer dessert. Haha! My husband could totally relate to the whole “Taste Tester” ordeal! Your PB Ice Cream looks delicious, and I love that I can make it for all of our [fill-in-the-blank]-intolerant family members! So creamy and flavorful! I can’t believe it’s vegan! Thanks Meghan! You wouldn’t even be able to tell! You got me on 4 ingredients!! This looks and sounds so Delicious.. I have a had of peanut butter sitting in my pantry.. time to get it out and make this Delish ???????? Woohoo!!! I’m seriously in such a kick with these few ingredient recipes! 😉 Its official, that Peanut butter was just waiting for this moment. ???? Enjoy! 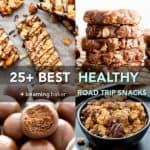 What peanut butter would you use for this recipe? Hi Teresa! I use creamy, natural peanut butter that is very liquidy. One of my favorite brands to use is Crazy Richards. Happy ice cream making! Such a great flavor! My family definitely love this! 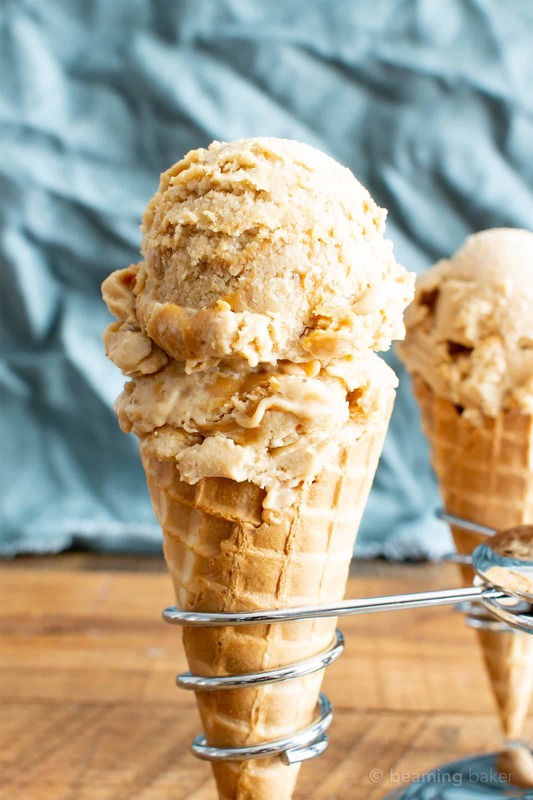 This peanut butter swirl icecream needs to happen at my house very soon! Oh yeah! It’s seriously so easy to make! This looks unbelievable! Perfect for Summer! Totally! It’s a big hit with everyone around here already! ???? This ice cream looks so incredible! This is such an amazing summer treat! You got that right Sandra! This is making me drool! A perfect treat for summer! Haha then my job is done here. ???? Glad you enjoy it Toni! This would seriously last maybe 5 minutes in my house! No you cannot! 🙂 So yummy! Totally relatable situation. My guy goes through phases where he announces a new aversion to an ingredient. The next week he’ll be gobbling up said ingredient with gusto. Lol. I’ll be making this with my niece next time she visits. Hehe. This seems like a thing for the taste testers in our lives… 😉 Haha. Great! I can’t wait to hear what you two think! 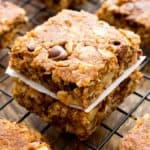 Looks yummy, how many calories and carbs per serving and how much is a serving? Can you sub almond milk? Or for those of us who really do not enjoy coconut- is the coconut flavor strong? I’ll have to try this. Simple. Yep! 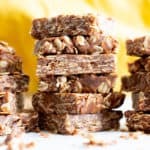 Easy to make, and even easier to eat! ???? Hope you enjoy Jess! Could you use peanut butter powder to reduce fat? Do you think i can use this same recipe to make cookies and cream ice cream? remove the peanut butter and just mix everything together then mix in some oreos? or do you think the taking out the PB would compromise the consistency? Hi Hadeal! 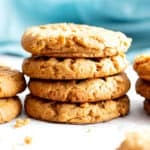 Hmm… you might be able to use this recipe and replace the peanut butter with cashew butter (has a better, more neutral taste that sometimes reminds folks of cookie dough). Enjoy!